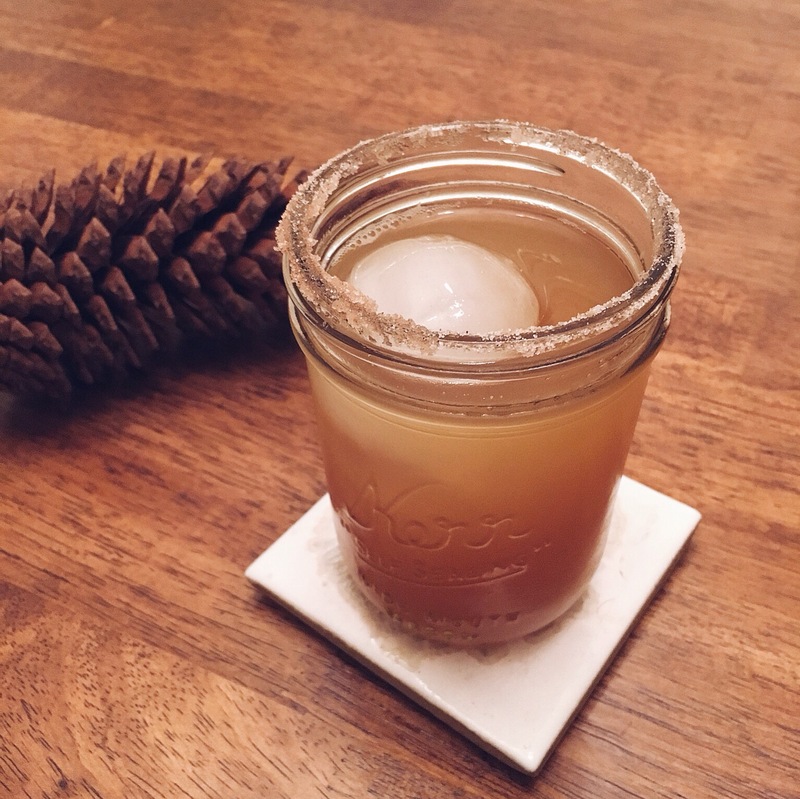 Here’s a fun and super easy whiskey cocktail to enjoy this time of year…and any drink that has a sugar rim is a winner in my book! We always have whiskey on hand and I was feeling a little blah about the drink choices I usually have, and decided it’d be fun to mix it up. This would also be so good with some apple slices or a cinnamon stick, i.e. if I had planned ahead those would have been included. Pour the sugar and cinnamon onto a plate and swirl around to combine, the amounts can be eyeballed. Wet the rim of your glass and coat it with the cinnamon sugar mixture. 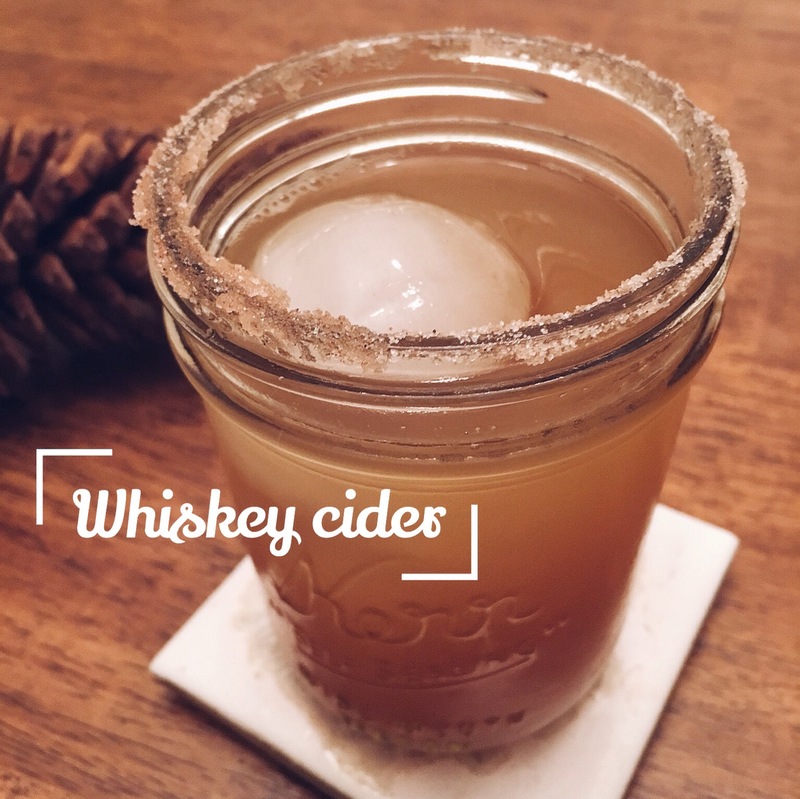 Add ice and 1 part whiskey to 2 parts apple cider to your glass. Stir and enjoy! !